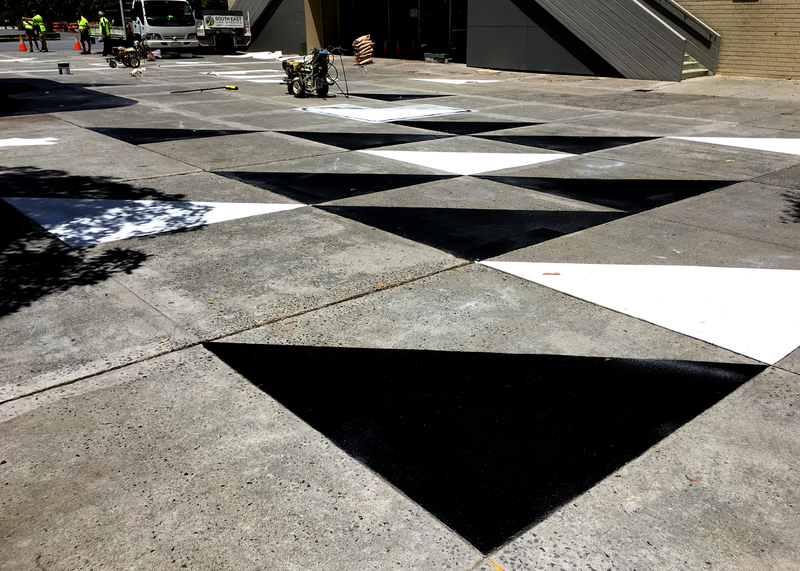 A recent amenity and landscape upgrade of Northern Plaza at Monash University Clayton left a tired 40 x 20 metre quadrangle off to the side of the main works in need of a simple revitalisation. 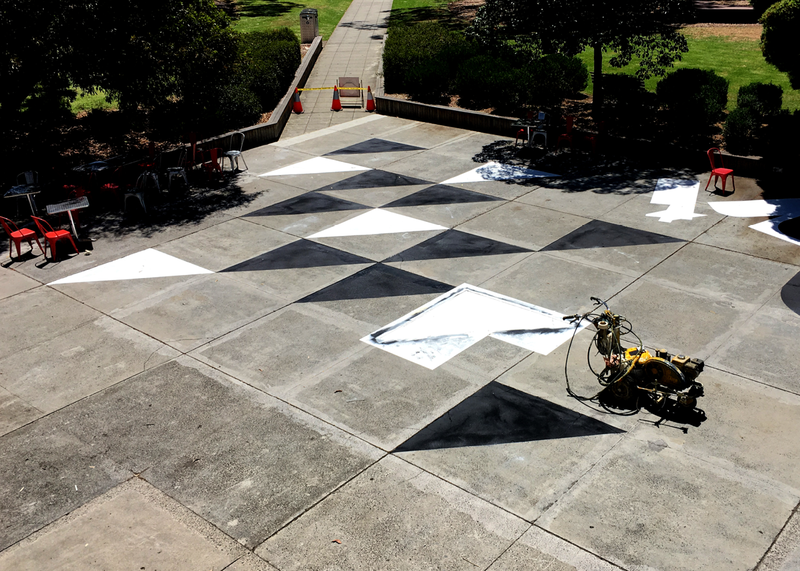 An open brief allowed the studio the opportunity to develop a human scale interactive artwork conceived for students and staff to activate during the course of the year. 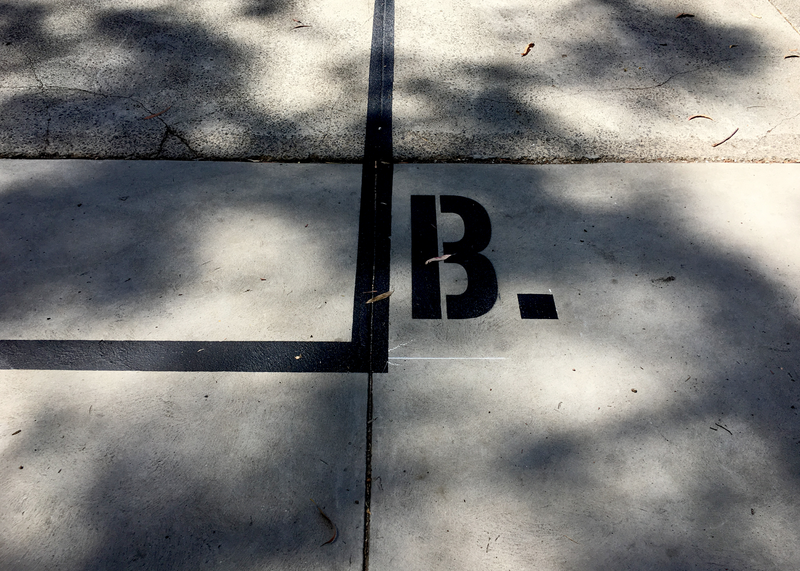 We observed this space was a popular meeting spot on campus. 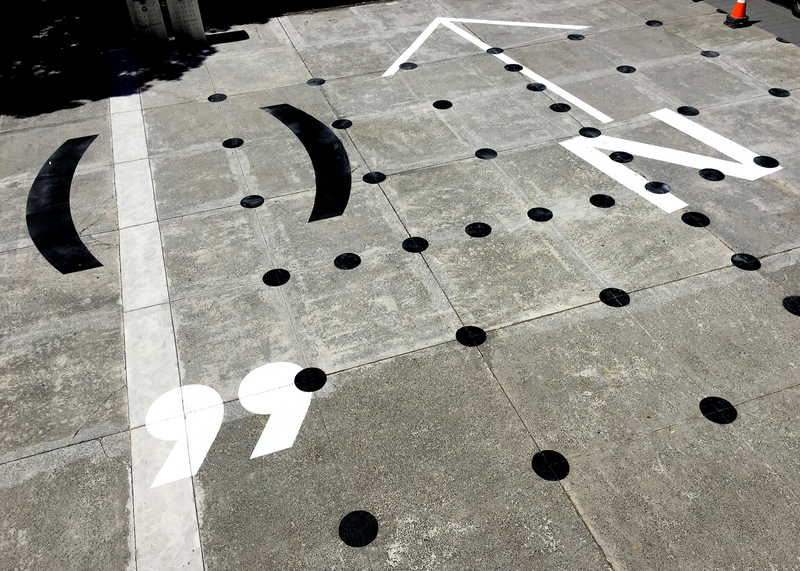 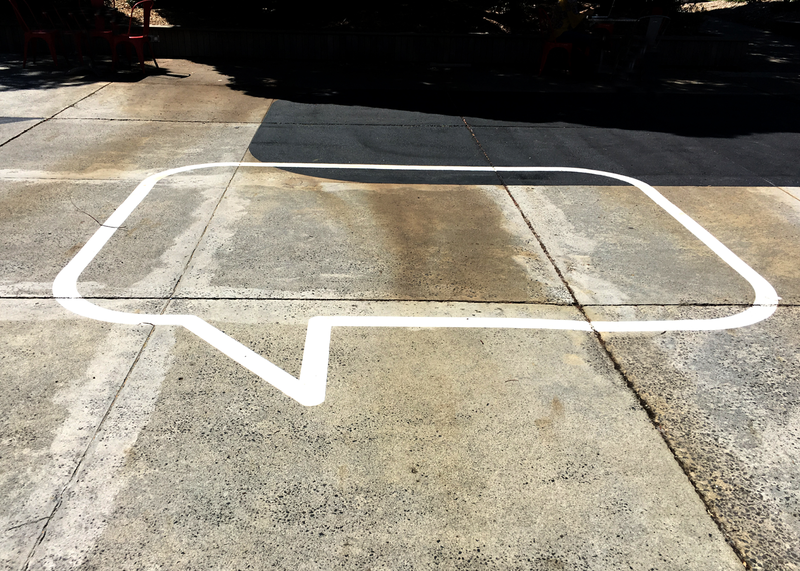 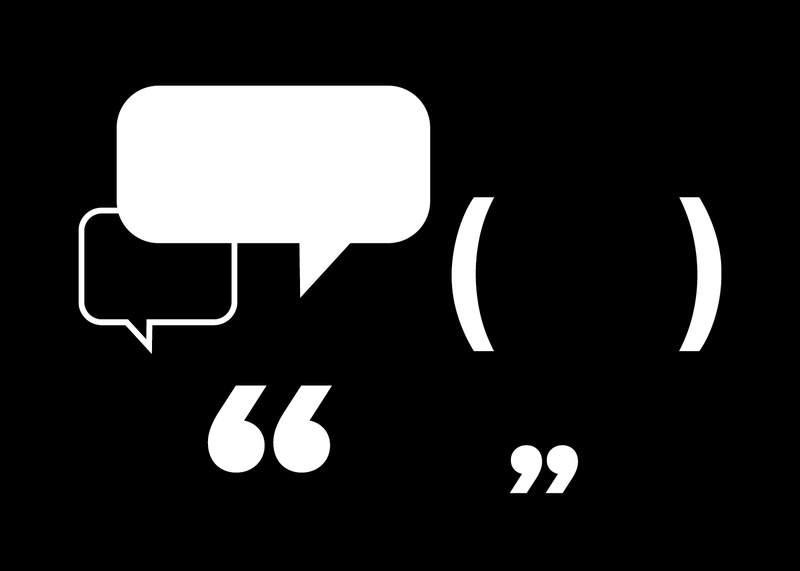 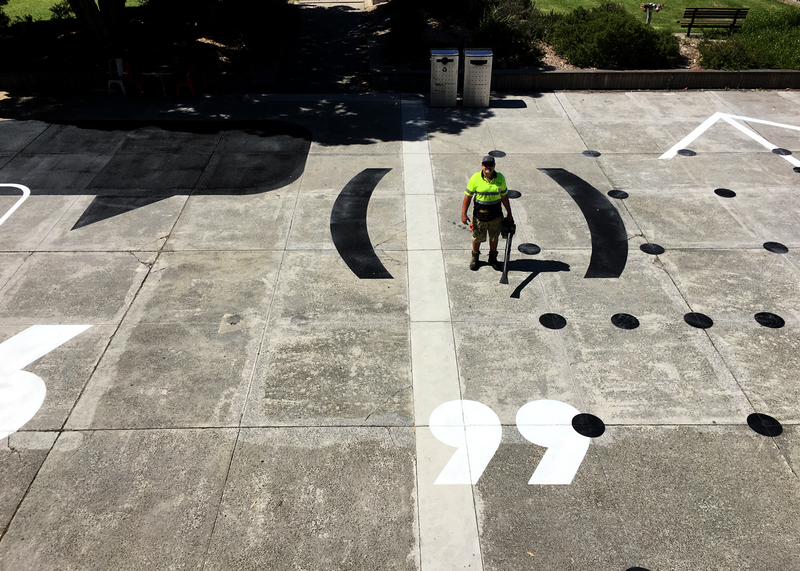 The concreting structure of the quadrangle became our grid, on it we plotted a giant open graphic conversation of giant speech bubbles, brackets, quotes marks, boxes, XY graphs, North maker are a provocation for thinking, messages and ideas to be big. 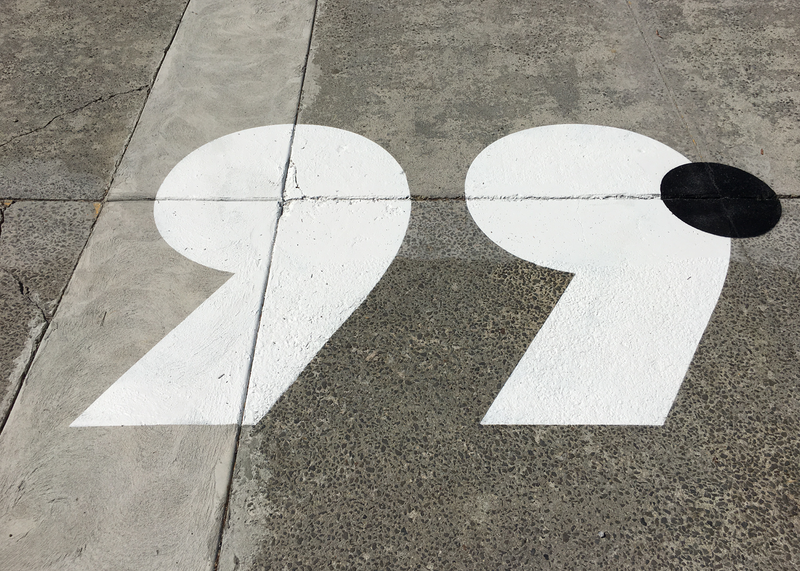 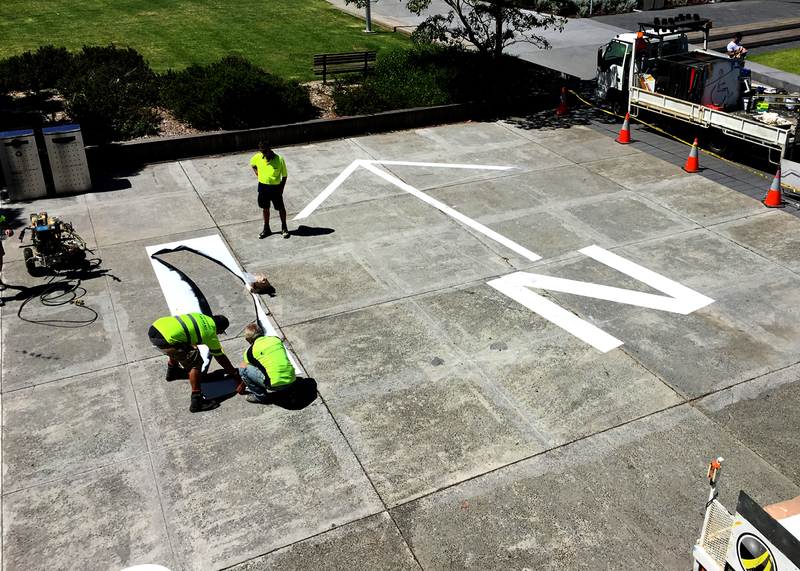 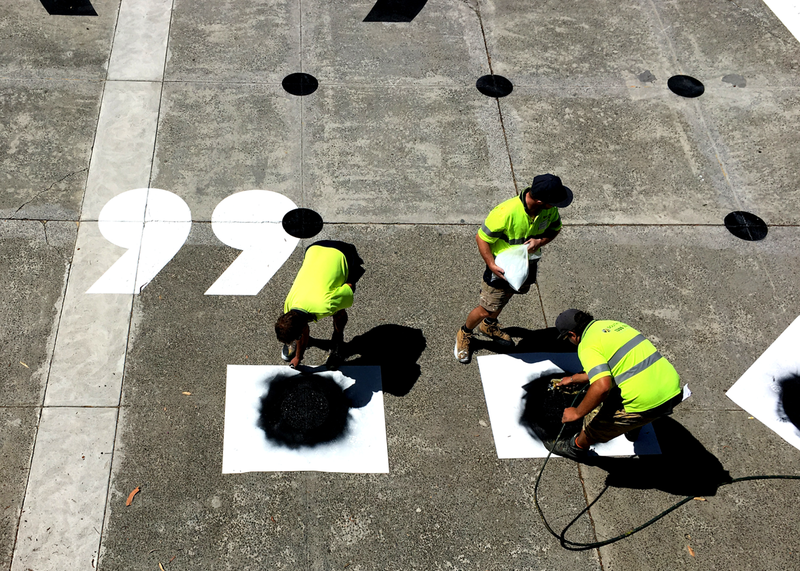 A crew of Melbourne’s best road marking makers took a quiet Saturday day shift to roll out the biggest graphic solution to come out of our studio. 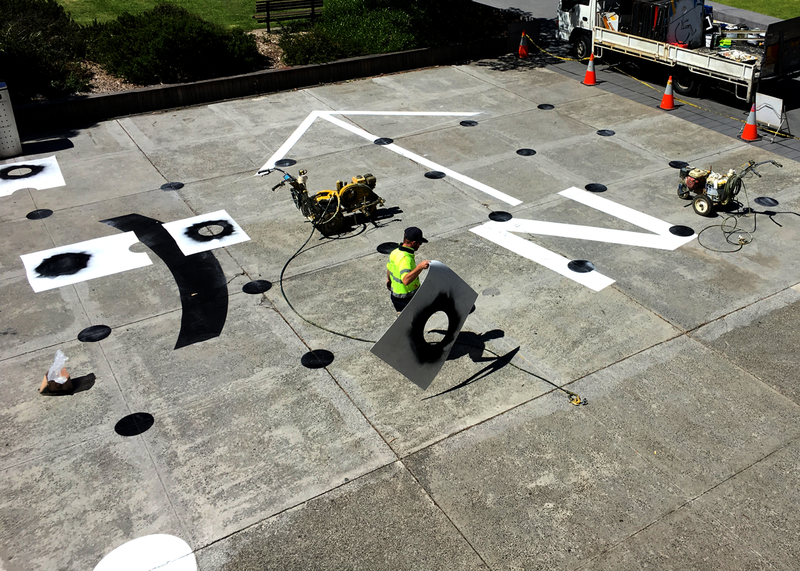 Quality checking this project was rapid, gobsmacking, like clockwork and a blast.